2) Copy the files of ploplinux-netboot.zip to C:\CCBoot\tftp\ploplinux-netboot. 4) Copy the files of ploplinux-4.2.2.zip to C:\CCBoot\tftp\ploplinux-netboot. 5) Now the C:\CCBoot\tftp\ploplinux-netboot should have three folders (ploplinux, pxelinux.cfg and syslinux) and other files, such as memtest, menu.c32, tftpfilelist and etc. 6) Edit C:\CCBoot\tftp\ploplinux-netboot\pxelinux.cfg\tftp.conf, change 192.168.1.201 to your CCBoot server IP address. 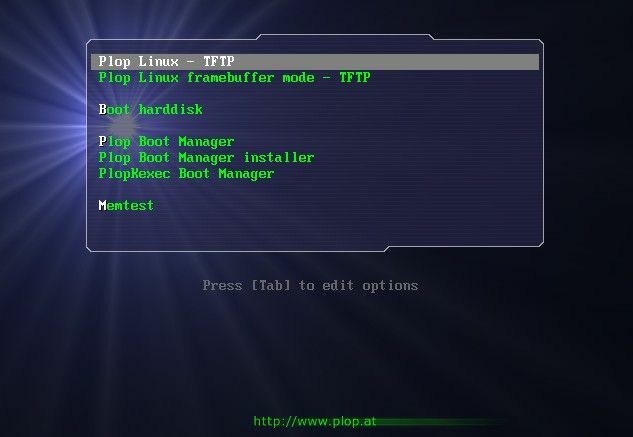 7) Double click one client in the client list on the CCBoot server; modify the "PXE" to "ploplinux-netboot\pxelinux.0". The original is "gpxe.pxe". 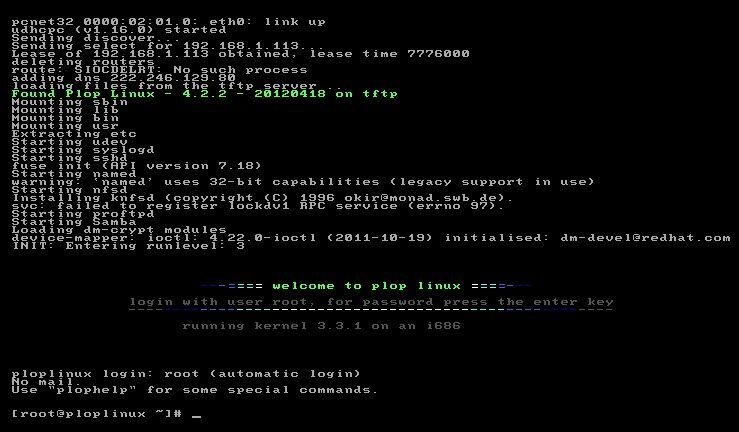 9) Now boot the client PC, you will see the Plop Linux boot is successful.